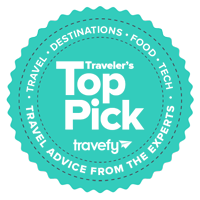 Expert recommendations on travel, destinations, food, tech and more. Each week our experts put together one list of the best of the best of some of the top travel ideas and products out there. One cannot stress enough just how much of a family-friendly city Lincoln is. There are activities for every member of the family to enjoy. After highlighting the best places in town where to take the kids, here is our top pick of the best restaurants for beer lovers. Between classy steakhouses with inhouse microbreweries and pizzeria with impressive beer selections, you have all the ingredients you need for great nights out in Lincoln. Come taste Lazlo’s “creative comfort food” hot off one-of-a-kind hickory grill. Located in Lincoln’s Haymarket, Lazlo’s delights locals and visitors with mouthwatering signature burgers and steaks, complemented with a wide variety of homemade sides, salads, and appetizers. Beer lovers come during Happy Hour — every weekday from 3 to 6 PM — to relish the house-brewed Empyrean ales. Don’t pass on the ever-popular Third Stone Brown though there is a wide selection of seasonal and award-winning concoctions on tap. Do not be fool by the fact that this is a newcomer on the Lincoln brewery scene. Ploughshare Brewery is the place for true beer connoisseurs. They recently hosted the very first Annual Nebraska Cask Ale Festival — certainly one of many more to come. Ploughshare Brewery Co. promotes Nebraska brewing heritage, offering a rotation of traditional beers crafted on site as well as favorites from other breweries. Their seasonal menu — made from local produce — varies according to the beers on tap. You will fall for the warm pretzels and the mouthwatering Bavarian bratwursts; they go well with the Tailgate Red Irish Red Ale. For more information, visit their website. Misty’s has an interesting location in downtown Lincoln: right across from the Marcus Lincoln Grand Cinema and at walking distance from all the popular local watering holes. Misty’s menu has everything you can expect from as steakhouse, from delicious appetizers to fingerlicking chargrilled steaks and BBQ ribs. Above all, the appeal of Misty’s for beer lovers is the master brews from the Modern Monks Forbidden Ales. Enjoy the classics from their Kolsch to their Robust Poster to a good selection of whims and seasonal brews. The Espresso Porter will certainly win your heart if you like your beer with fine notes of roasted coffee and caramel. Zipline is growing fast and turning out to be a major player on the Midwest microbrewery scene. While they are not associated with any restaurant, it would be a shame to visit Lincoln without touring the Zipline Brewing premises. The Copper Alt and the Oatmeal Porter are two popular year-round brews you must try. There are also a wide variety of seasonal, small batch, and barrel aged variants to sample. Tour are available on the first Saturdays of the month, just in time for the Huskers Football tailgating. This pizzeria does not have an in-house brewery like the other eateries on this list. Instead, Yia Yia’s Pizza stands out as a favorite among locals thanks to its signature pizzas and its exhaustive menu of local and imported ales. Order their Around the World pizzas — which comes with freshly baked bread, pesto, or marinara — and savor it with the largest beer selection in town. It would be hard to recommend any — the menu is overwhelmingly all yours to explore. Here are just five of the local restaurants every beer aficionado will love. Of course, if you can, you must tour as much brewing company as possible, which also includes the famous Blue Blood Brewing. Did we miss your favorite Lincoln restaurant or brewery? Tell us all about it in the comments. Travefy is a free, all-in-one travel planner that makes it easy to plan trips with friends and split travel costs. Discover 8+ million fun trip ideas, discuss and plan together. To learn more, visit Travefy and follow us on Twitter, Pinterest, and Facebook.